Fairfield, CT - The Town of Fairfield's Office of Community and Economic Development, in accordance with its Citizen Participation Plan, will hold a Public Hearing to solicit citizen input on prospective projects for funding under the Community Development Block Grant (CDBG) for Program Year 45 which begins October 1, 2019 and ends September 30, 2020. The Public Hearing will be held on Tuesday, May 7, 2019 at 7:00 p.m. in the 2nd Floor Conference Room in Old Town Hall, 611 Old Post Road, Fairfield. 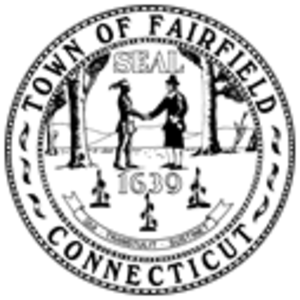 The Town of Fairfield has not received notice to date of its CDBG allocation for upcoming Program Year 45 nor does it anticipate an increase in its present grant of $508,143. The Community and Economic Development Office intends to use the current year’s grant as the baseline for planning purposes from which it will make adjustments as additional information becomes available. The Office of Community and Economic Development seeks the public’s input as to the types of projects and activities it should include within its Action Plan for Program Year 45 that will meet the Town's identified housing and priority non-housing community development needs. These projects may include public improvements; public facilities; public services; and economic development activities. Citizens and representatives of public or private organizations may present a proposed project or public service activity, or discuss program performance or any other aspects of the program at this public hearing. Questions regarding the program may be addressed to the Office of Community and Economic Development, 611 Old Post Road, Fairfield, CT, 06824, (203) 256-3120. All proposals received by March 18, 2019, and determined to be in conformance with CDBG regulations, are being considered.